Need new apps for your favorite device? Here are 120 iPhone, iPad and iPod touch apps that just hit the App Store. 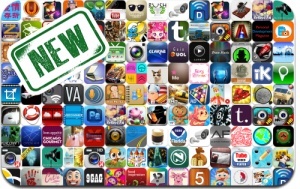 This new apps alert includes Crepe Maker, Brandmania: Hidden Objects, Pro Pool 2012, Morphs: Cloud Kingdom, Gingerbread Dress Up, Deity Wars, The Smurfs Hide & Seek with Brainy, Hot Dog Bush, Castle Story, Hair Salon, and many others. Toddler’s Seek & Find: At the Circus…. PicFrame+ | Enjoy your funny life! SWYPE Pro Input Method : Swipe to Type!